Back in November, we posted a story about motorcycle riding being linked to impotence, citing a study from Japan that was published in the International Journal of Impotence Research. Yes, apparently there is an entire journal with an unrelenting focus on our fun bits. I digress. Anyhoo, the study suggested that men who ride motorcycles are at risk of impotence and urinary problems due to the vibration of the engine damaging nerves in our happy place. MO readers piped up in large numbers, adamant that years of riding hadn’t prevented their little soldier’s from standing at attention. According to patent-granted author Randall Dale Chipkar, they may be half right. 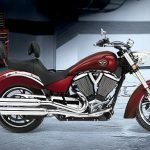 “More studies are needed to determine the cause,” says Chipkar, who believes that the focus of the study was based on limited information and too few variables, making it inconclusive the motorcycle seats are the cause of impotence. Chipkar went one step further, admitting that such vibration can actually have positive effects. “Subtle groin vibrations increase blood flow and are actually stimulating, not debilitating on our tissues. 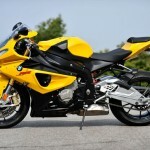 Regular motorcycle seat vibration is not going to damage penile nerves,” Chipkar added. 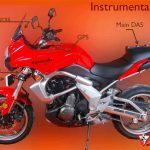 Unfortunately Chipkar continues on to say that while vibration and pressure are unlikely to cause impotence, motorcycle riders aren’t in the clear. 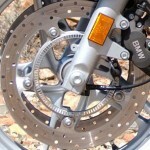 “Most motorcycles have electrical components beneath the seat. Extremely low frequency electromagnetic field (ELF EMF) radiation passes through the seat penetrating into the rider’s groin. ELF EMFs can disrupt zinc ions which are linked to impotence and erectile dysfunction. Furthermore, excessive ELF EMF invasion compromises electromagnetic homeostasis involving neuron function, hormone imbalance and adrenal fatigue all linked to impotence and libido loss,” Chipkar says.